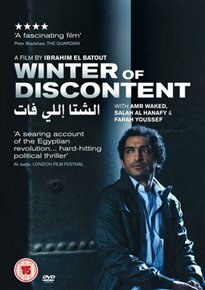 Egyptian political drama set against the backdrop of the January 2011 revolution. Told in a series of flashbacks, the film highlights the troubles the Egyptian people were forced to deal with under President Mubarak’s reign through the eyes of politically motivated whistleblower Amr (Amr Waked). Once a victim of severe torture and state-endorsed brutality himself, Amr has since been involved in a campaign to make the wider world aware of Mubarak’s gross abuse of power. Through his story we are told how the Egyptian revolution was not one of spontaneous action but rather the result of a long period of injustice committed against its people.